Yep! 780 is now Sunshine Village #49. I believe 781 is the only surviving 700 series LFR left in the RDT fleet. They have arrived. But they are in hiding....! Here are a few shots I took yesterday when I had a Charter in this beautiful MCI MC-9 with Leander Coach Lines yesterday. Enjoy! Here are a couple more from yesterday. Enjoy! Bus #1147 is on an all night run on route 6 today and is still out there as of about 10 minutes ago. Bus #5046 was spotted running on the route 23 around 8PM this evening and bus #945 was spotted running on an all day run of the route 40 as well today. That sign was working fine just this past Friday! 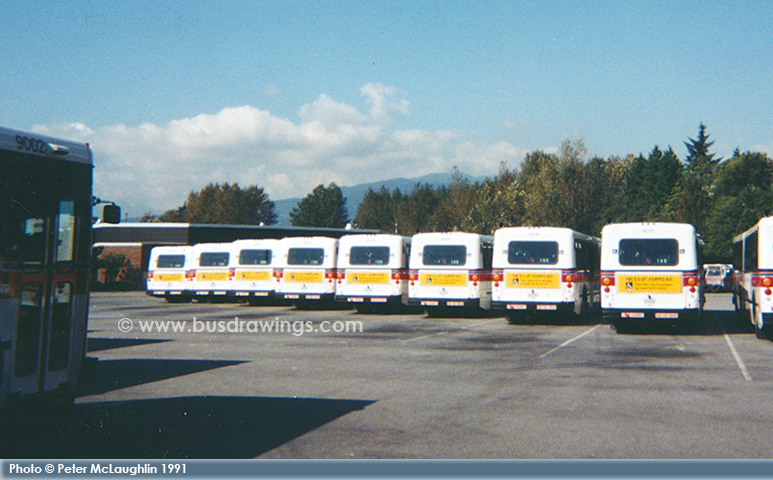 Got comfirmation today that Nova did in fact get the contract for the next order of buses for Calgary. I am not sure if we will see Articulated Nova's just yet (Especially with a delivery just starting in the last day or two of 22 more D60LFR's), as from what I understand we are still in a contract with NFI for more articulated buses on top of what we are now receiving. As for how many Nova's, I am not sure at this point, so we shall have to wait and see, but I heard the first ones may begin arriving in January of 2010. This is all I have for info at this point and will post if I hear anything more. Very nice to hear on another group that MUNI Flyer E800-10240 #5300 is back on the roads and even repainted in the old MUNI Scheme! BEAUTIFUL BUS! http://www.busdrawings.com/pics/5300_Union...ner_B_82106.JPG Photo by Matt Lee. A series of photos of New CT NovaBUS CNG #8355 at the 31 Street Station by the University earlier today as the MAX Orange route on April 12, 2019. 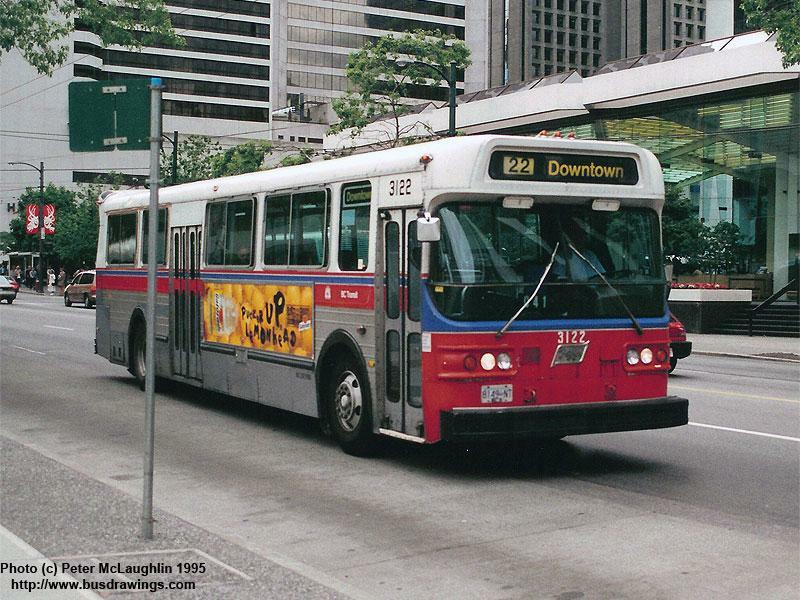 Actually a VP bus was used on an SF block to change off 7637 which had broken down on Centre Street Southbound at 4th Ave. nearside in the morning rush hour. So it seems that #'s 8000 to 8015 are slowing moving to Anderson Garage. And #'s 6001-6009, 6064-6073 are all now at Spring Gardens Garage. I found out later that there was one consist on the Blue Line that was not a Series 9 that day. I guess I never saw that particular train. Two shots of Greyhound Canada Prevost XLII #1294 in Niagara Falls on May 4, 2008. Does anyone know exactly which numbers are actually Prevost XLII's? What number series? I only know of #'s 1293 & 1294 so far. Thanks! As mentioned in another thread, #7590 seems to be the first 1995 D40LF to go through rebuilding and is still being done as of December 7, 2007 at the Spring Gardens shops. #7556 was spotted yesterday inside Big Rig undergoing rebuild as well. There is at least one other 1995 D40LF at Big Rig being rebuilt as well, but I could not see a fleet number. Lets keep track of the 1995 rebuilds in this thread. 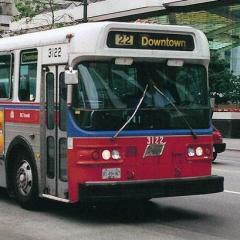 Let's try to keep this thread for general discussion of current and past bus routes for Calgary Transit. Thanks! Thanks to member 'D40LF', for pointing this out, but bus stop #8111 on south bound 36th St. at Dover Ridge S.E. still has the route 90 on the sign. I forget when this route was discontinued but I seem to recall it was deleted within the past 5 years. Attached is a photo of the bus stop sign which didn't turn out as well as I thought it had. Today I noticed that the Blue Line seems to be entirely Series 9 consists out there.